Along with an explosion of new “country blues” records, 1927 also saw the release of some exceptional new recordings in the classic female blues style, as well as the first essential “jug band” record. Victoria Spivey came from Houston, Texas, and her style falls somewhere between male Texas blues singers and vaudeville-inspired classic female blues singers like Bessie Smith and Ma Rainey. 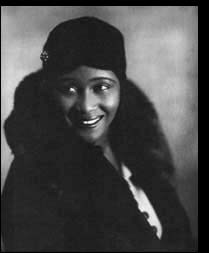 Spivey was not afraid to sing about controversial subject matter: many of her records are highly suggestive (she had been the first one to record “Black Snake Blues” before Blind Lemon Jefferson had a hit with it), and she recorded a pair of songs about the tuberculosis epidemic that was ravaging the African American community in the 1920s. “Dope Head Blues” covered another subject that until that point had been taboo in records: cocaine abuse. Spivey’s strong, colorful delivery sounds convincing for the subject matter. She alternates between easy-going and edgy, with some notes stretched out and others hastily spoken instead of sung. Lonnie Johnson provides excellent accompaniment with his relaxed, jazzy guitar work. The Great Mississippi River Flood of 1927 was one of the worst natural disasters in the history of the United States and would inspire numerous blues songs. While this Bessie Smith song is usually associated with that flood, however, it was actually recorded earlier in the year and likely refers to one of the many smaller floods that happened in 1926. Nevertheless, it seems prophetic now, and struck a chord with the public after the Great Flood hit. As usual, Smith turns in a great performance here. Although she hits high, powerful notes at the beginning of each verse, she generally conveys a subdued tone, and by the end of the song even the high notes have mellowed considerably. James P. Johnson provides the excellent piano accompaniment, which in places sounds reminiscent of falling rain and thunder. Ladies and gentlemen, may I present a fine example of blues kazoo. Yes, I am serious. And yes, it is worth hearing. Memphis was the heart of “jug band” music in the 1920s. 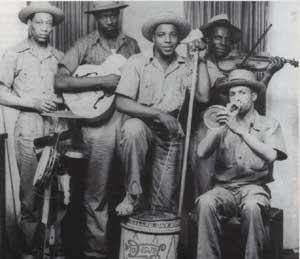 The style had originated when African American musicians began playing an amalgam of blues, jazz and ragtime in string bands (banjo, guitar, fiddle, etc.) supplemented by various “found” instruments (whiskey jugs, washtubs, washboards, combs, etc.). Despite the primitiveness of the instruments, some of this music was actually quite sophisticated, as this song from the Memphis Jug Band demonstrates. Over a bass line created by air blown into a large jug, the band layers guitar, mandolin and the occasional kazoo solo to create a wonderfully unique sound. Adding to this rich tapestry are the complex vocal harmonies. Throughout most of the song, a second singer chants a separate set of lyrics under the lead vocals. A third singer occasionally joins as well, slightly off-beat from the other two. To hear these three voices come together to sing “Baby, what’s the matter now?” in sloppy unison is magic. It may have to be heard to be believed, but this is excellent music and wonderful fun – kazoos and all!